Half diamond eternity ring set with alternating baguette and round brilliant cut diamonds, around a 2.6mm wide band with channel setting. This Eternity Ring has a modern feel with two different cut Diamond styles nestled together for an impact on brilliance. With a total of 0.30 carats expertly set into this comfort fit profile. Each Diamond has been expertly matched prior to setting and graded to F Colour for maximum whiteness and VS1 Clarity for exceptional clarity. The channel runs over half of this Eternity Ring to be noticed every day. 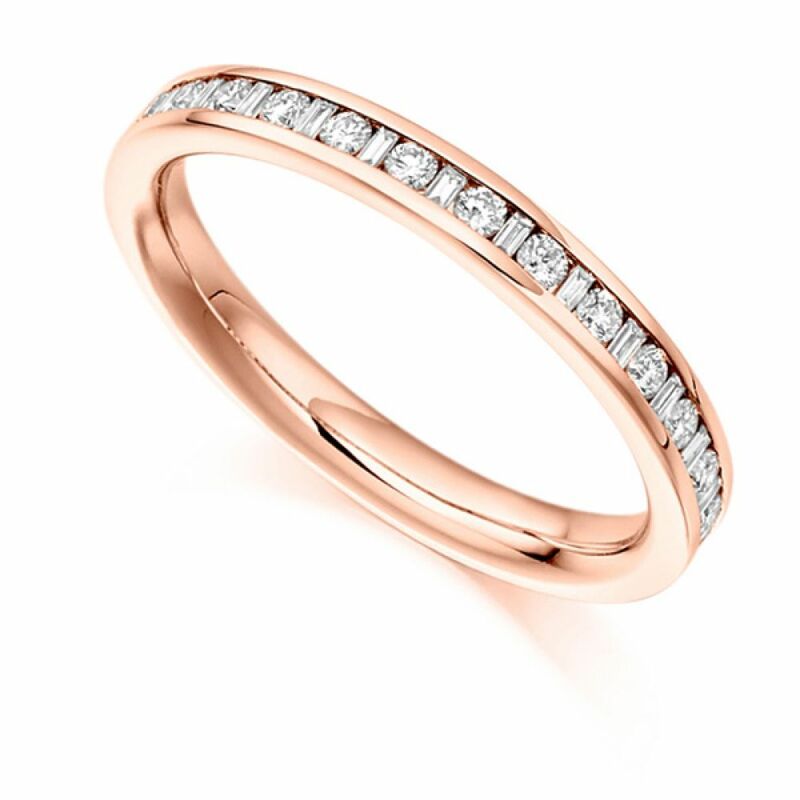 This beautiful ring is crafted within 4 weeks and arrives hand-delivered by secure courier with 60 days returns, a lifetime warranty and detailed insurance valuation. Make a selection from the drop down menu for a range of precious metals including 18ct White Gold, 18ct Yellow Gold, 950 Platinum, and 950 Palladium.